Class of 1952 reunion photo! Class of 1952 reunion photo! 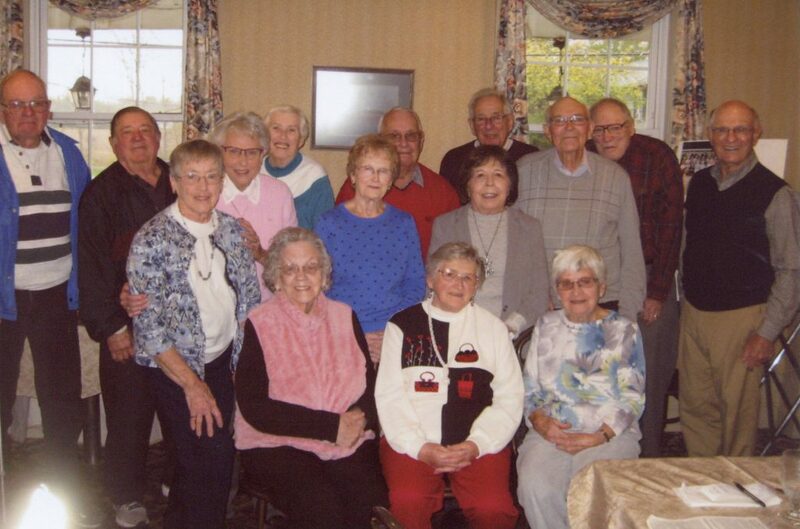 The AHS Class of 1952 celebrated its 66th class reunion on Nov. 7, 2018, at Tillman’s Village Inn. Front row, l-r: Doris Perry Kelley, Helen Sledzik Kozody, Jean Noreck Bailey. Middle row, l-r: Jean Forder Shervin, Janet Hollinger Maines, Beverly Miller Downey, Joan Martina O’Neill. Back row, l-r: Robert Rook, Donald Bates, Barbara Bloom, Ronald Radzinski, Harry Shifton, John Long, Richard Canuteson, and John Paganelli.